Barcelona will look to bounce back from their Clasico defeat when they host Atletico Madrid at Camp Nou in the first leg of the Champions League quarter-final on Tuesday night. 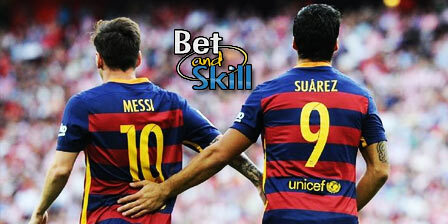 This article contains our BARCELONA v ATLETICO MADRID betting preview with free predictions, betting tips, enhanced odds, starting lineups, bookmakers offers and no deposit bonuses on the Spanish derby! Barcelona will be without Aleix Vidal as he joins Adriano, Jeremy Mathieu and Sandro Ramirez on the sidelines. Rafinha has returned to the substitute bench against Real Madrid after recovering from a ligament injury and could play at some stage as the front three of Messi, Neymar and Luis Suarez remain unchanged as well as the midfield trio of Rakitic, Busquets and Iniesta. Atletico Madrid cut the gap to Barcelona to six points in La Liga at the weekend with a thumping 5-1 victory over Real Betis at the weekend. They have conceded only 15 goals from their 31 league outings so far. Their defensive record in the Champions League is impressive too, with six clean sheets from their eight matches. In the previous UCL round, the Colchoneros were made to work hard by Dutch side PSV, who held them to a 0-0 stalemate on both legs, but eventually qualified by winning on penalties. Manager Diego Simeone has been boosted by the return of Diego Godin, Stefan Savic and Yannick Carrasco, but they will be without Tiago and are sweating on the fitness of Gimenez. Oliver Torres also remain sidelined through injury, while striker Luciano Vietto is a doubt. Griezmann and Fernando Torres are expected to lead the line in a 4-4-2 formation. Atletico Madrid beat Barcelona at this same stage of the Champions League en route to finishing as runners-up in 2014, drawing 1-1 in the first leg in the Camp Nou before winning 1-0 in the return fixture in the Vicente Calderon. Since August 2013 these familiar rivals have met 12 times, the first six of them in that stellar 2013-14 campaign for Atletico when they remained unbeaten against Barcelona and indeed secured La Liga with a 1-1 draw at Camp Nou. But since then, the boot has been on the other foot with six straight wins for the Blaugrana, including the two league clashes this term which both finished 2-1. BARCELONA (4-3-3): Ter Stegen – Alves, Alba, Mascherano, Pique – Rakitic, Busquets, Iniesta – Messi, Suarez, Neymar. ATLETICO MADRID (4-4-2): Oblak – Felipe Luis, Gimenez, Godin, Juanfran – Koke, Gabi, Fernández, Niguez, – Griezmann, Torres. Boosted odds! 4/1 BARCELONA to win the match! Massive Double! 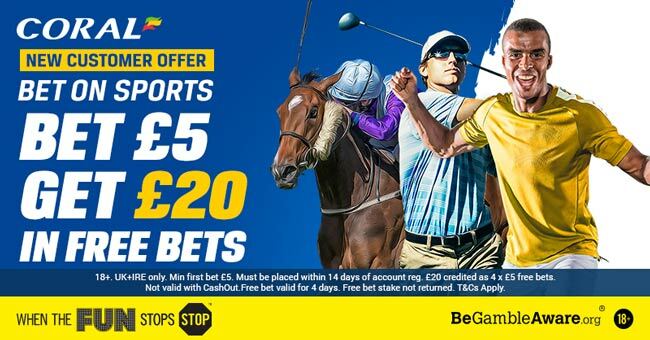 10/1 Barcelona & Bayern to win + £10 free bet! Price Boosts! 4/1 BARCELONA to win + £100 bonus! Risk-free! Enhanced Double: 7/1 Barcelona & Bayern both to win! Crazy acca: 16/1 Barça, Bayern Munich, PSG & Real Madrid to win! Enhanced acca: 14/1 Barcelona, Bayern, Real Madrid & PSG to win! "Barcelona v Atletico Madrid predictions, betting tips, lineups and odds (Champions League - 5.4.2016)"